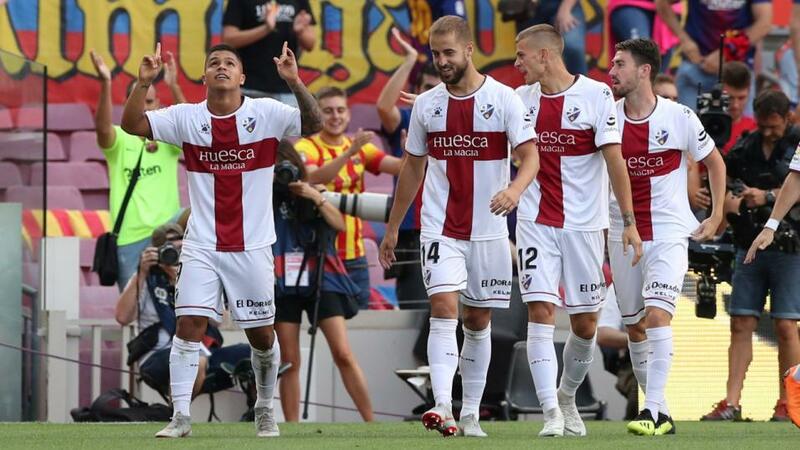 "A year ago, these two met at Huesca's tiny Estadio El Alcoraz and the hosts won 2-1"
Yesterday's bet is still a live one at the time of writing. But we're not just holding our breath for news from China. We're also making our first trip of the season to Spain. You can find previews of the biggest games from round four of La Liga right here, but we've also found something to like about the Friday-night clash of two new boys. Huesca and Rayo Vallecano were the top two in the Segunda Liga last season. A year ago, they met at Huesca's tiny Estadio El Alcoraz and the hosts won 2-1. We fancy they can get to Over 2.5 Goals again today. Huesca's first three Liga outings have all been on the road. They won 2-1 at Eibar, drew 2-2 with Athletic Bilbao then went to the Camp Nou and, ahem, lost 2-8. The exciting thing for us is that they scored twice themselves in all three of those matches. Rayo Vallecano are a game behind most teams after their third-round match with Athletic Bilbao was cancelled because of safety concerns around their stadium. Those concerns didn't stop them starting their La Liga campaign with a 1-4 home defeat to Sevilla in August. Since then, Michel's men have visited Atletico Madrid and lost 0-1. Atletico, of course, are Spain's stingiest team, so we're not going to hold Rayo's blank against them. With Huesca scoring and conceding freely in the early stages of their Liga odyssey, we're jumping on the near-evens price for Over 2.5 Goals tonight.